I write science fiction, some near future and Earthbound, some far future where Earth is no longer even a memory. There are worlds and space ships, technology and gadgets, but my stories are very much about the people that bring those worlds to life. I love stories that immerse me in other worlds as if I lived there. I love complex, larger-than-life characters who are credibly driven by their own inner logic - heroes and heroines in their own stories. Even the bad guys. And I love the everyday influence of far-out technology. Not gizmos to be set on a pedestal and geeked over, but tools to be used, part of the furniture, taken for granted like computers and cell phones today. There's some background to my art, and each painting has a brief description of what was going on in my mind at the time ... or not. I have paperbacks available for direct sale (avoiding the shipping charges added by most online stores). I am also happy to give talks and readings. I have talks prepared on The Critique Survival Guide, A Writer's Visual Toolkit, and Unblocking Writer's Block. Please contact me through the message form on the Contact page. First draft of The Long Dark finally complete! Approximately 107k words. I'm letting it sit for a while before going into first round of revision, and switching attention to drafting Breaking the Block. First draft of The Long Dark is 90% complete. Reached the 50% mark in drafting The Long Dark. I've probably jinxed it now, but writing is going well, the plot is evolving, and I'm managing to keep writers' block at bay despite days when I'm not sure where to go next. Embarking seriously on worldbuilding and drafting The Long Dark. Also started work on another nonfiction guide to Breaking the Block. In The Ashes of Home, Shayla spends about a quarter of the story on board the heavy battleship Admiral George Leonard. Full schematics of the ship are now posted to Shayla's World. Wednesday May 2, 7:00 at the central branch of the Greater Victoria Public Library, The Critique Survival Guide. Thursday May 10, 6:30 at the Sidney/North Saanich library, a workshop on aspects of worldbuilding. The Ashes of Home is now available in e-book and paperback at most major online sites. Click on the cover on the right of this page for a list of links. Note - Ghosts of Innocence is on special offer in all e-book formats, down from $3.99 to $0.99 until mid-June. Editing and cover art for Ashes is complete, and I have draft PDFs back from the book designer to proof read. Publication is getting close! 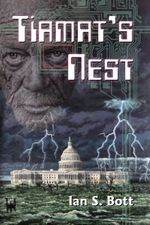 Tiamat's Nest featured in the Emerging Local Authors program, at the Greater Victoria Public Library. Gave a talk entitled Unblocking Writer's Block at the Sidney library. Worked on The Ashes of Home throughout the year. 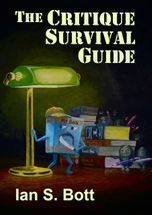 Published The Critique Survival Guide in ebook form. Completed a first draft of The Ashes of Home, a sequel to Ghosts of Innocence. Gave a talk entitled A Writer's Visual Toolkit at the Sidney library. Gave a talk entitled The Critique Survival Guide at the Sidney library.